Our goal is to equip children with life saving aquatic skills and a positive relationship with the water. SunFun Activities is committed to building safe and strong swimmers from the age of six months through adolescent swim team. Our program mirrors the American Red Cross Learn To Swim Program which develops swimmers based on age and skill progression. Each swimmer develops at their own pace. We customize lessons to ensure swimmers a positive and productive learning experience. 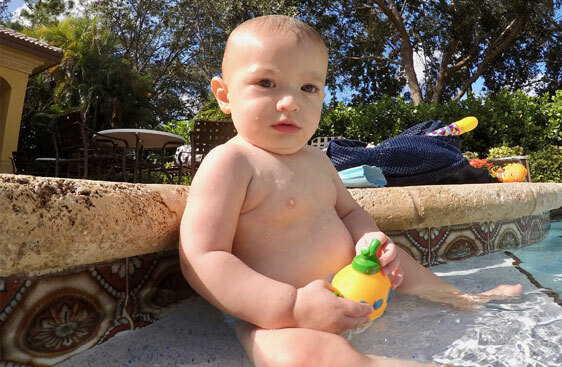 Baby & Me group classes are 30 minutes and include an adult in the water with the baby up to 6 parents and kids. Private instruction is also available for 20 minutes. 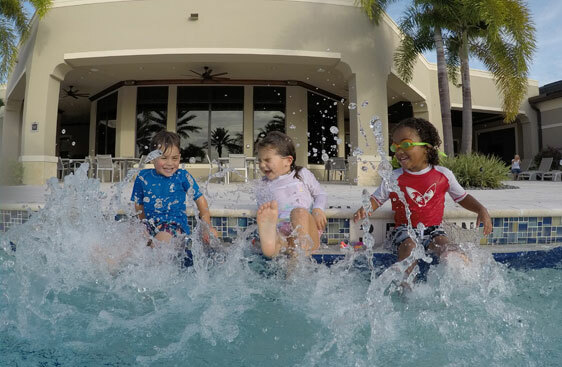 Little ones learn how to feel comfortable in the water while enjoying it safely. Parents become knowledgable in proper handling and submergence techniques. Submergence starts at 6 months old in order to create a peaceful underwater relationship. Safety skills such as holding onto the wall and float position are introduced. An adult must be in the water with their child in group classes. For children to take lessons without parents in group setting, children must be able to navigate an independent water entry and return. The ultimate goal is to be prepared to return to safety if an unexpected entry into the pool is encountered such as a fall. Students will be taught in a private setting. Private lessons are 30 minutes. Taking the startle out of submergence is the first step towards confidence in the water. Self-confidence is imperative for success in order to retain safety skills. 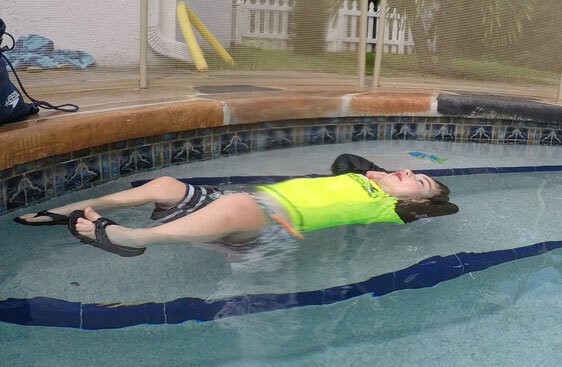 Skills taught are: Holding breath and opening eyes underwater, understanding body movements such as kicking and paddling which creates forward propulsion, jumping into water and swimming back to the wall and comfort while in back float position. The focus of this stage is to create a strong independent swimmer. An independent swimmer can take continued breaths and use basic stroke movements to navigate the water in a controlled manner. This is not typically achieved until 3-4 years old. Skill progression varies as students develop physically. Consistent practice effects outcome. 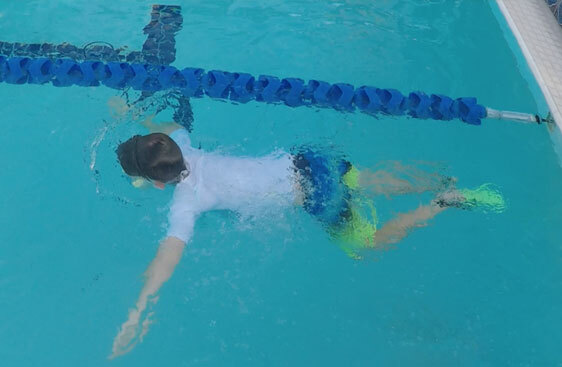 Skills taught to develop an independent swimmer are: going under water and propelling forward, jumping off into water and swimming back to the wall, paddling face down and rolling over into a back float. Kicking in back float position back is introduced. 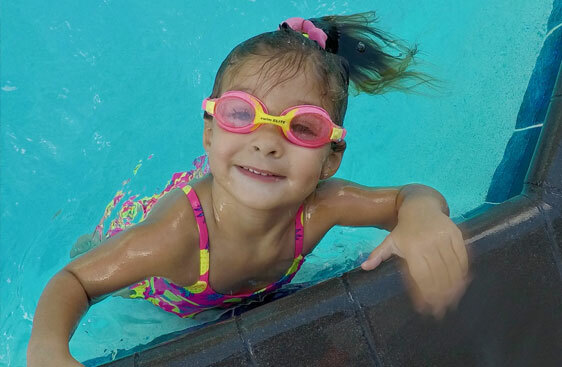 Child must be able to demonstrate independent swim ability to participate in group lessons. Students in this class will begin to learn proper stroke mechanics to develop into a stronger swimmer. Once s child can change body position from upward to downward, stroke development of freestyle side breathing, arm crawl and backstroke begins. Book us today to make sure you get your spot. Students learn proper swimming mechanics for freestyle, backstroke, breaststroke and butterfly. These strokes are taught in progression based on individual swimmer development.